This is brand new and unworn. 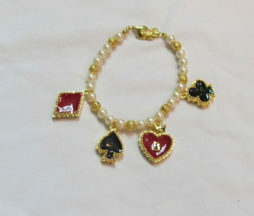 Cute bracelet with pearl and gold beads with charms featuring different card suits. This has been worn several times, but is in good shape. 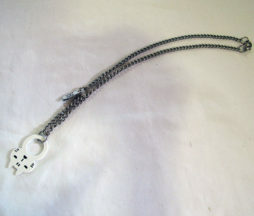 There is slight rubbing on the inner circle of the charm where it sits on the chain. This has been worn several times, but is in good shape. The chain shows natural wear/color change that is expected with age. This was worn maybe twice, and is still in good shape. There is some light creasing in the material, but it is the nature of the material it is made out of. 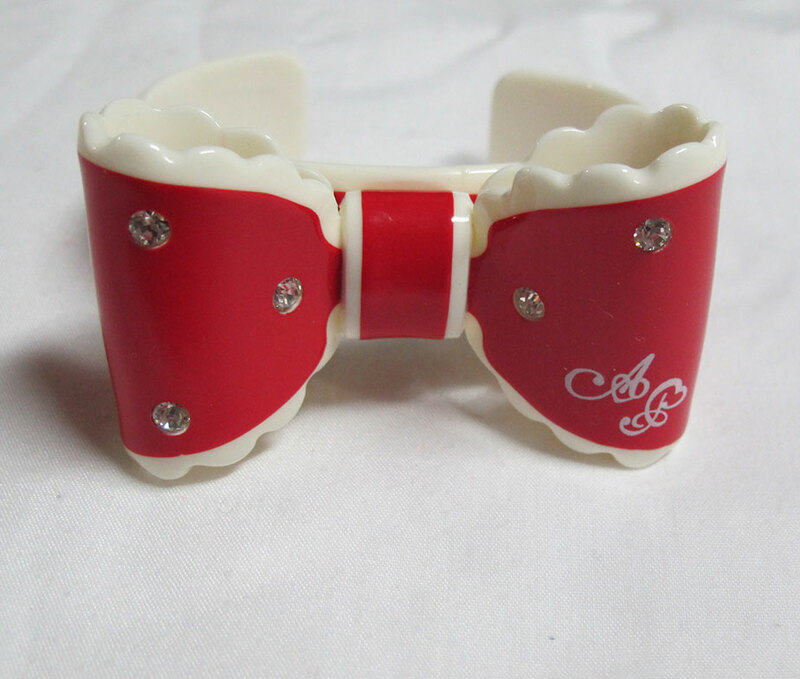 This can be worn as choker or as a bracelet by wrapping it around your wrist twice. 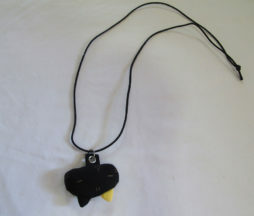 This item is previously owned but still has lots of life left in it for paring with your coords! Versitle little piece, it has both a brooch pin and alligator clip on the back so you can easily pin it in your hair or on your outfit/bag. This item has been very lightly worn and is like new. 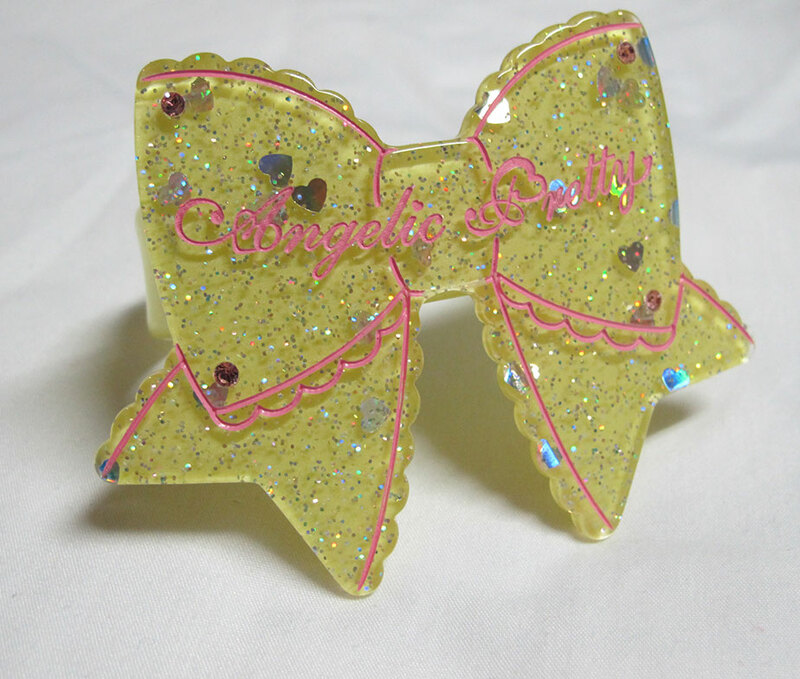 Cute big yellow bow will match all kinds of sweet outfits! Very glittery and sparkly! 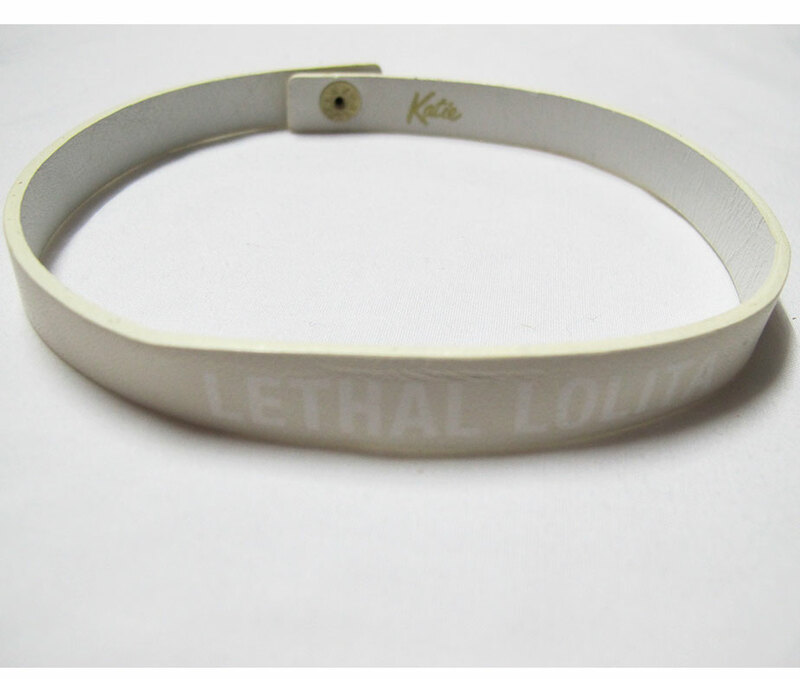 This item has been worn a few times but it is in great shape. I can’t remember exactly, but I think this was released with the Wonder Cookie series, but it might have been another. The colors and simple theme make it easy to coord with pretty much any sweet outfit. 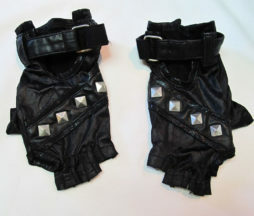 This item has been lightly worn and is in great condition. 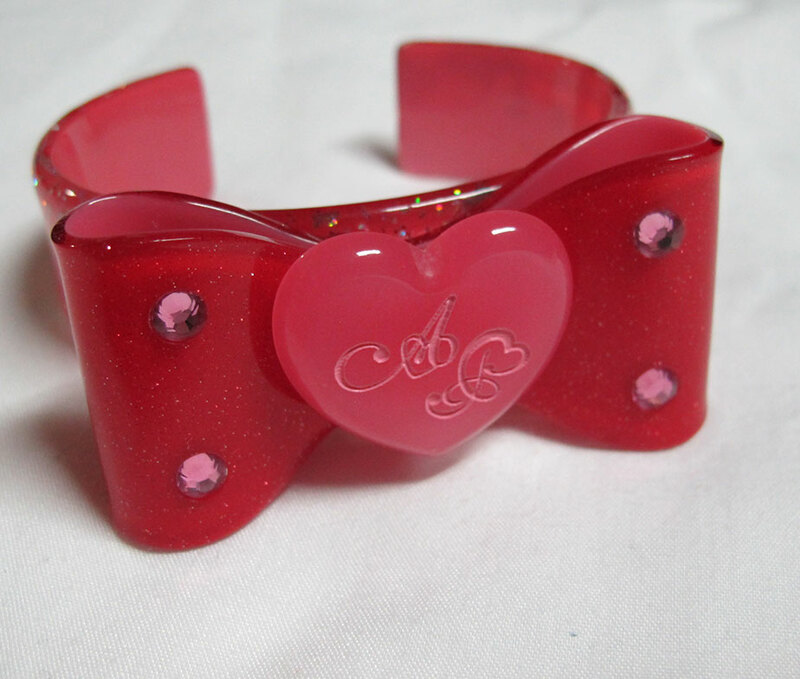 Very cute red a pink colors, the finish makes it look like candy! Perfect touch to a sweet coord. This item has been worn a few times, but is in great shape still. 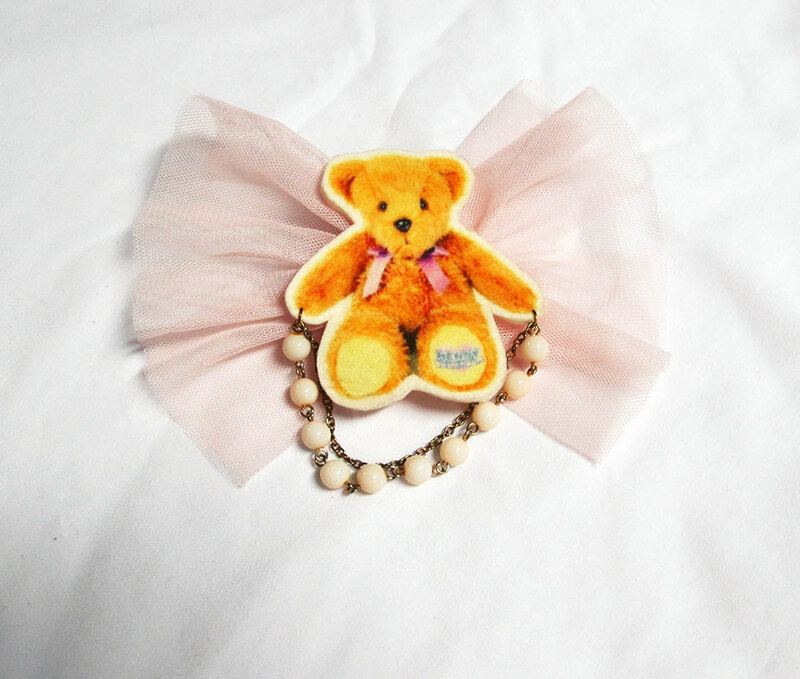 Very cute yet simple design makes it easy to match to lots of styles and outfits! 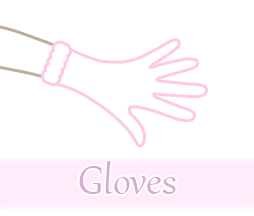 This item hasn’t really been worn that I can remember, but I am not sure so I will list it as used. 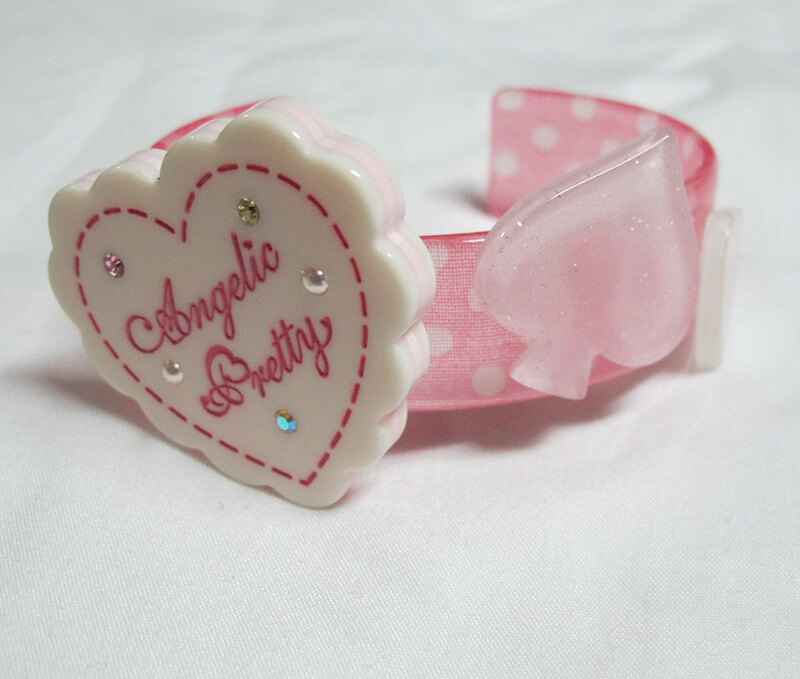 The charms were sold individually at Disney Stores in Japan for mixing and matching as you like. 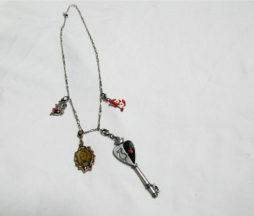 The key necklace comes with three other Alice themed charms. 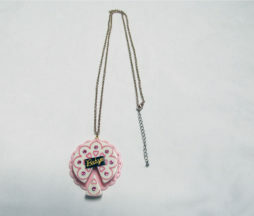 You can hook the charms to whatever you like- zippers on clothes and bags, your cell phone charm, a charm bracelet.